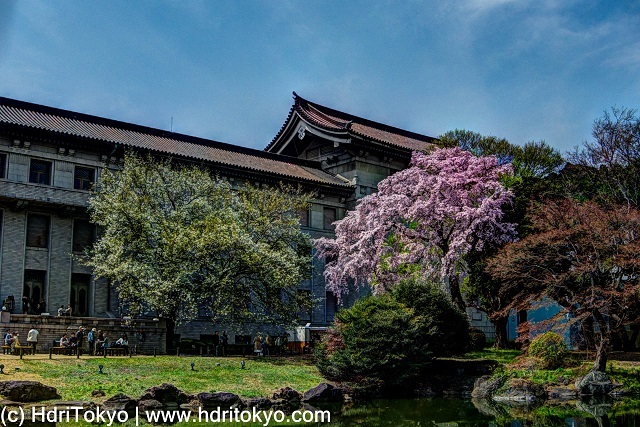 There is a large garden behind the main building of Tokyo National Museum. 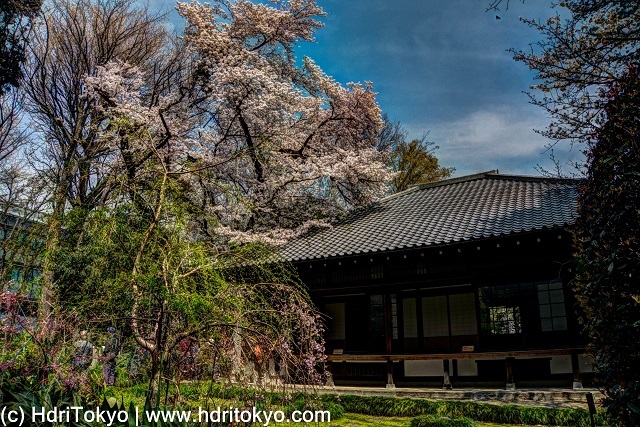 The garden is open to public during the cherry blossoms viewing season and autumn leaves season. 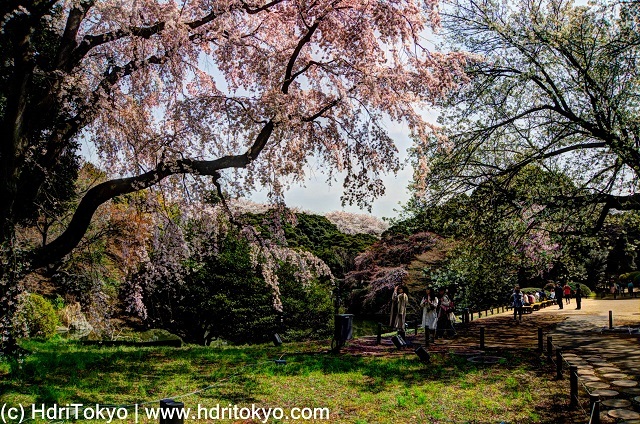 Ten varieties of cherry trees are planted in the garden. 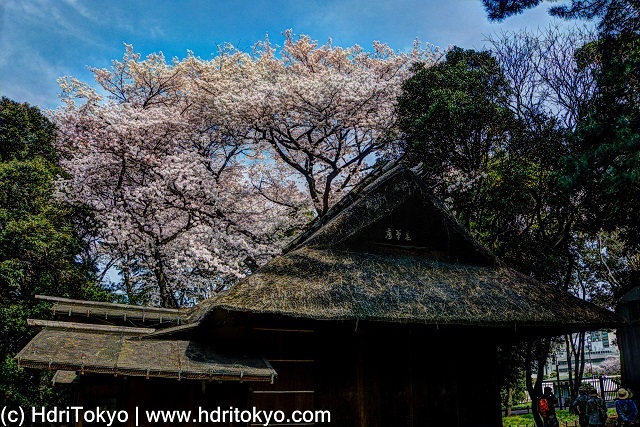 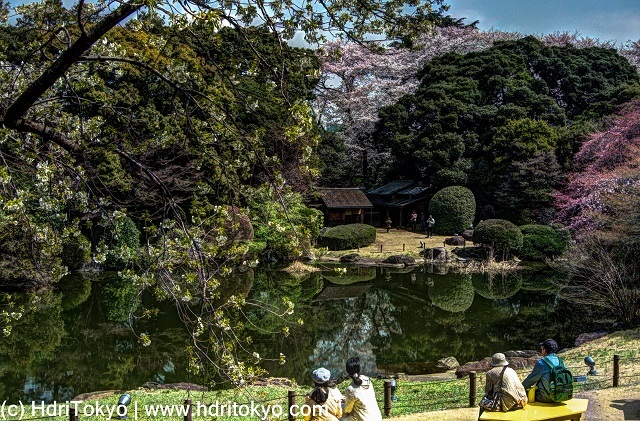 It is calm in the garden, you can enjoy cherry blossom viewing in a relaxed mood.